Not many would realise this, but Microsoft turned Solitaire into a freemium model on Windows 8 where it is offered as an app in the Windows Store. This has remained in Windows 10, where new users upgrading from older Windows versions are seeing this for the first time. Solitaire is the evergreen card game that’s as synonymous with Microsoft’s Windows OS as Minesweeper and, to a certain generation, Pinball. On Windows 8 and Windows 10, the game has unfortunately turned “modern”, offering coins for participating in challenges which eventually unlocks badges…you know, the same model that got you hooked on Steam games. 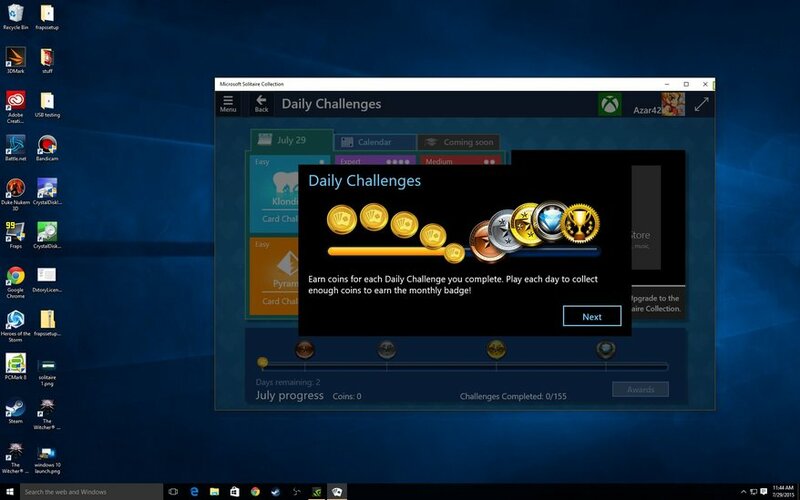 On top of that, full-screen ads take over the game window appear when you load the Challenge page, and run between 15 to 30 seconds each time. Just like other freemium apps you see on Android and iOS, you can make the ads go away. 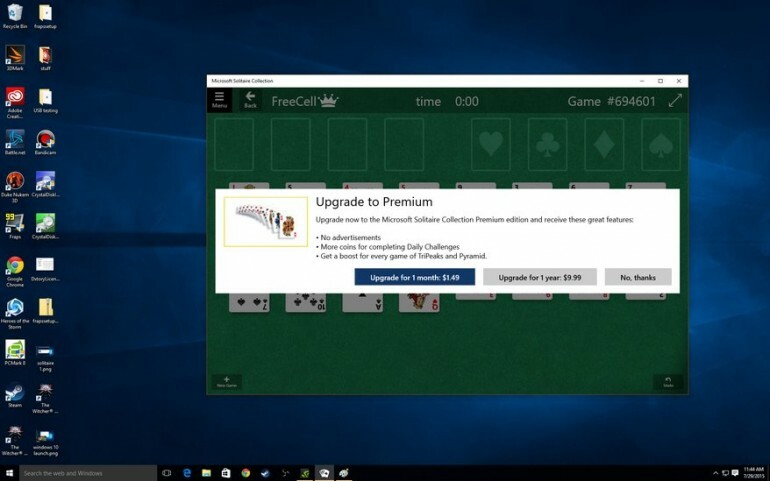 But instead of a one-off payment, Microsoft has opted to make Solitaire, the evergreen card game we used to play when we were kids, a subscription-based game. That’s right. For $1.50 (about RM5.80) a month (or $10 (about 38.50) a year), the game turns off all ads, and unlocks more coins for completing Challenges. Plus, you’ll also get a boost every time you play the less popular TriPeaks and Pyramid games bundled in the collection. 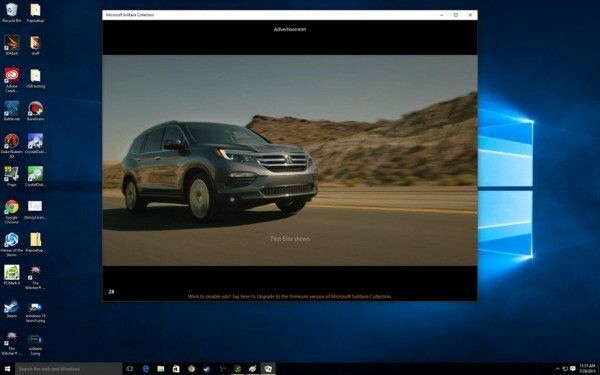 It is really odd to see this coming from Microsoft, but it makes sense to a certain extent. The software giant has previously stated that one of the reasons behind the decision to make Windows 10 a free upgrade was to increase its ecosystem and generate revenue off its other products, such as Office 365. Adding a freemium model to one of its best-loved games could be another.